Police are appealing for witnesses after a spate of post office robberies in Linlithgow and Fife. The post office in the high street was targeted on Monday morning at around 11.25am where a man made off with a sum of cash from the till. 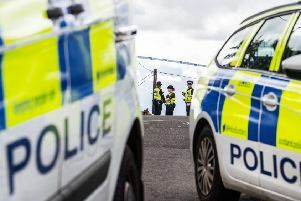 Another three armed robberies in Burntisland, Cowdenbeath and Kincardine took place shortly after and police believe the crimes are linked. Around 12.15pm police say there was an incident in Cowdenbeath High Street where a male attempted access to behind the counter but was refused and left the premises. Shortly after at around 12.40pm a man entered the premises in Burntisland in possession of a knife and stole a sum of cash before the alarm was raised by staff. Officers were then alerted to a third incident at the post office in Elphinstone Street, Kincardine which occured around 2.15pm. A man in possession of a weapon entered and assaulted the female shopkeeper before making off with a quantity of cash. The suspect in each incident is described as white in his thirties with a stocky build, stubbly complexion and wearing dark clothing and a high visibility jacket. Detective inspector Colin Robson from Dunfermline CID said: “These incidents were all extremely alarming for the staff involved and we are providing each of those affected with all the support they require while they assist us with our ongoing inquiries.